Are you working too hard to have time for a hobby? Rethink that. If you want to move up the corporate ladder, get a hobby. That’s the takeaway from a fascinating article in the October 2018 Harvard Business Review (HBR). According to HBR, many of the CEOs of top companies in the U.S. have one thing in common: They make time for hobbies they are passionate about, and those hobbies enhance rather than detract from their ability to succeed. 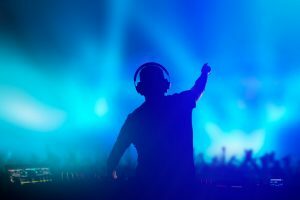 According to the article, David Solomon, CEO of Goldman Sachs, moonlights as a DJ. Brian Roberts, CEO of Comcast, plays squash. From cycling, to studying Taekwondo, to being a drummer in a band, to playing basketball, building a collection, flying airplanes, or fishing, these CEOs don’t just play, they excel. Many attribute their hobbies to their success–teaching lessons in humility, authentic leadership, providing true escape, learning never to quit, finding ways to be their best. Down time is much needed time to refresh body and soul. So, don’t feel guilty on that golf course, race course, or taking that online art course–you need that, and maybe your career needs it, too. Helen Sullivan, APR, Fellow PRSA, is IPMI’s communications counsel.